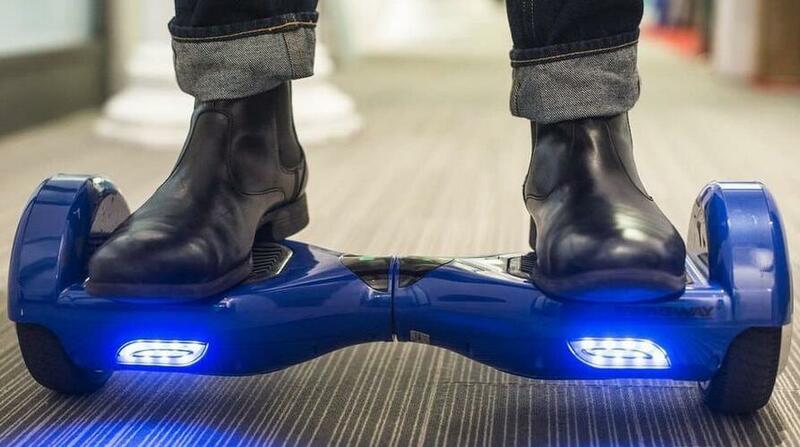 Are hoverboards safe for kids? There are a lot of people out there who are still confused about whether a hoverboard is a safe option for their kids. The truth is that hoverboards are actually just a very interesting piece of equipment that you need to learn to operate. Once you know how to balance yourself on the board, there is nothing that can make your ride difficult. The overall dynamics of hoverboards are very simple. The fabulous colors available and the unique designs offered by the companies make it very difficult for kids to resist the temptation of getting on a hoverboard and riding away. For security purposes, you have to get kneepads, shoulder pads, and helmets for the kids before they get on the hoverboard. Especially if it is their first time, you cannot risk them going at high speeds with no added protection of any kind. Once the child knows how to balance himself, he will not need the helmet etc. but it is always good to be safe. Before buying a hoverboard, always check the age limit mentioned on it. Not all the hoverboards are suitable for children under six years. Numerous have a proper age given and some of the more technical ones cannot be handled by kids who are younger than twelve years. If the age is not mentioned, use your own judgment. While most hoverboards do not go beyond an average speed of nine to ten mph you must check their maximum velocity before you get your kid on the board. 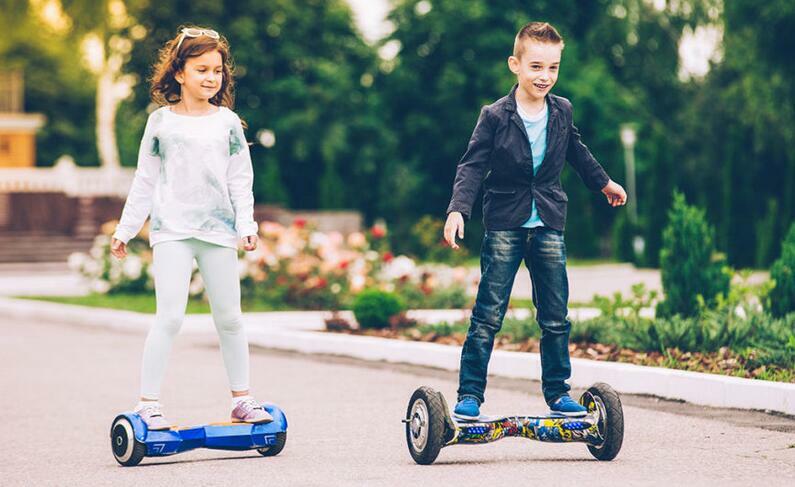 Children do not know the balance yet and if they lean too much, the hoverboard can quickly get to a high speed. With a low speed, you do not have to worry about a thing as it can be easily stopped. Tires play a very important part when it comes to judging the specifications of a hoverboard. Expensive tires will allow you to go smoothly over roads. This is a much-needed aspect for kids because kids need to have a pleasant ride. Try going for big tires reaching eight inches minimum and your work of teaching your kids how to ride the hoverboard will become easy. 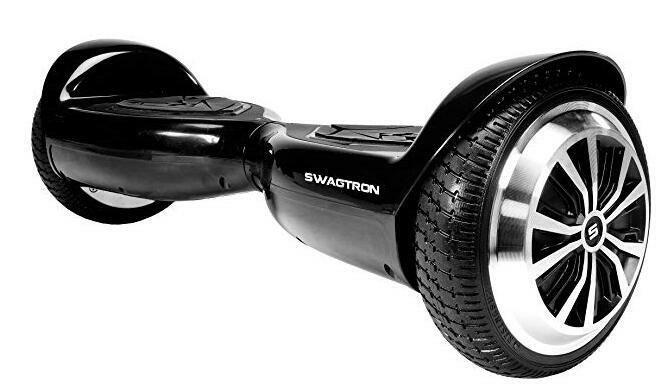 The Swagtron Classic hoverboard is a special item which is available in the market. It covers the needs of every learner because it comes with a special learner’s mode which enables people to control the speed of the hoverboard as it is going on rough terrains. The standard mode is designed for those people who are quick at learning and now want to advance to the next level of riding. For young riders, the maximum speed goes up to seven mph which is a safe option. 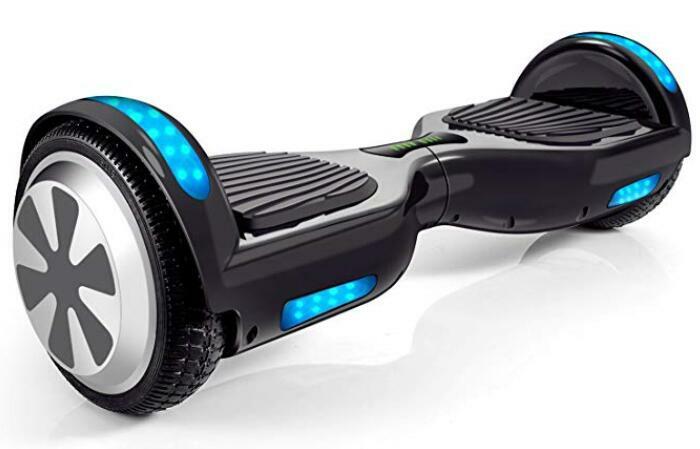 One of the safest hoverboards with a proper learning mode. It is durable and will not break over any rough or rocky surfaces. The maximum speed is too less so after some time of use people get bored from it. 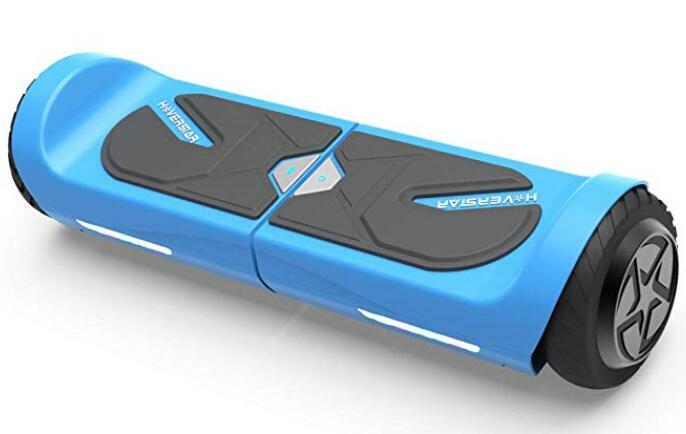 A self-balancing hoverboard that will help you to improve your stance and to understand the dynamics of a hoverboard, the Gotrax Company is well known for producing high-quality products. This item will last you for many days because of the superior material it is made of. It comes with a dual motor fitting which makes it highly powerful. The battery lasts for a long time after it is charged properly. The hoverboard is also certified and safe for use even for children. One of the most high-quality products available on the market right now. It is highly safe and easy to learn and use. Even though it says that adults can use it, they should be careful as the tires are a bit small. The Hoverhart hoverboard is specially for kids. Even the skin of the board contains cartoon designs and other funky materials which highlight the board. It catches the attention of the kids immediately and would make it tough for you to say no to this masterpiece. The anti-fire plastic material used in its making is safe and prevents the board from getting too hot. 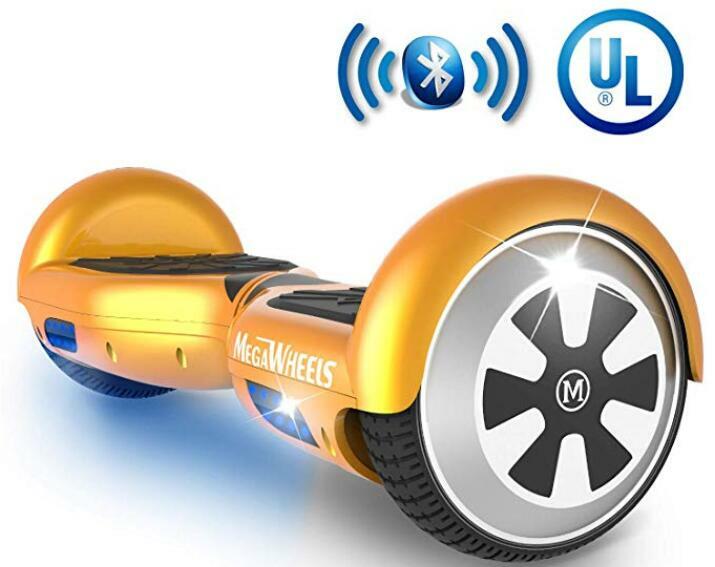 The best feature of this board is that the rider can control the speed very easily. No matter the age, the rider just needs to lean in and out and the board automatically recognizes what needs to be done. A very sturdy board that has the option of carrying grown people as well. One of the best set of LED lights that are available in the market. The performance is highly dependent on the road conditions. 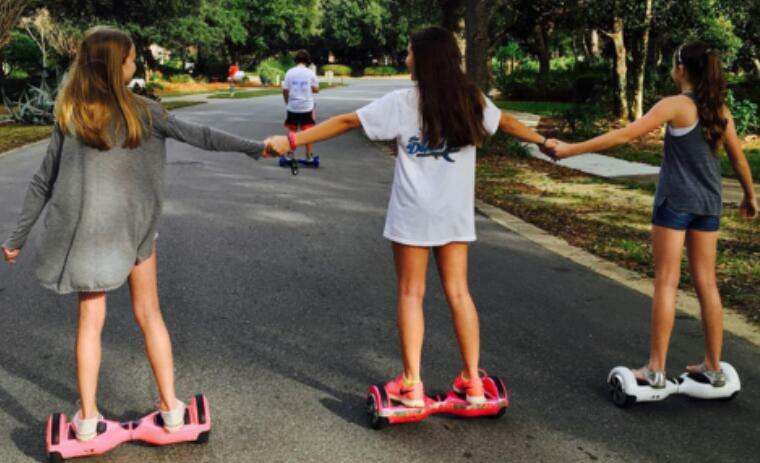 Specially designed for baby girls that want to get into sporting at a young age, the Megawheels hoverboard is not only good looking but also a very safe option for your children. 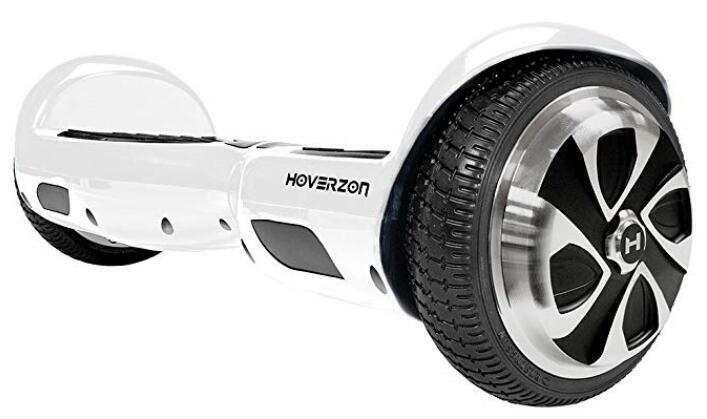 This size of this hoverboard is also very easy to handle and compatible. If ever there is a need to carry the item somewhere, you will not have to worry about the weight and you can even fit it in your bag. This is a fantastic option for children who are enthusiastic about learning. The wheels on this board are sufficient to go over rough and smooth terrains. It does not matter where you ride it as long as you can maintain your balance. The new design is unique and very special. The safety features enable your kids to learn quickly without getting hurt. The hoverboard cannot be used by people who are a bit overweight because it is not very sturdy. This two-wheel self-balancing hoverboard is the best option for small children. It can hit a maximum speed of 6 mph which is just perfect for the kids who want to learn and are young enough to control the board on their own. 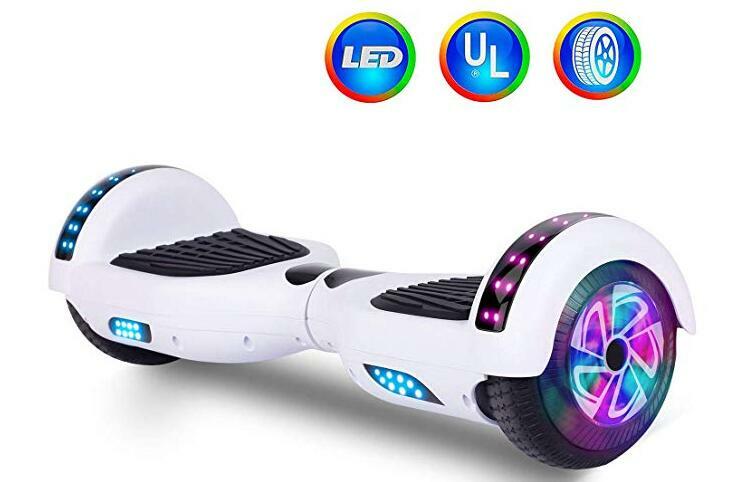 The series of hoverboard comes in many different colors so that every kid can get their own without compromising. The wheels are sufficient and do not drop the balance even when they go on rough surfaces. The battery system used in this board is new and uses the latest technology. It is light in weight so you can carry it around easily. It comes with many extra accessories which you would have to buy separately. Not suitable for children who are thirteen or older as it is not very durable. A classic hoverboard that combines style and speed to give you the finish that you need, the hoverzon series has always come up with new products. Although the focus of the board is in the technical aspects, the board also looks at the external beauty. It is very important to get a board that the kids like and enjoy too. For kids, looks are an important part of the whole package. It uses electric wiring and battery which means that you have to be a bit careful when you are charging it. One of the safest options for kids who are learning to ride. The smart battery system is durable and long lasting and will be worth the money. It is a bit sophisticated than the other items available in the market at the given price range. 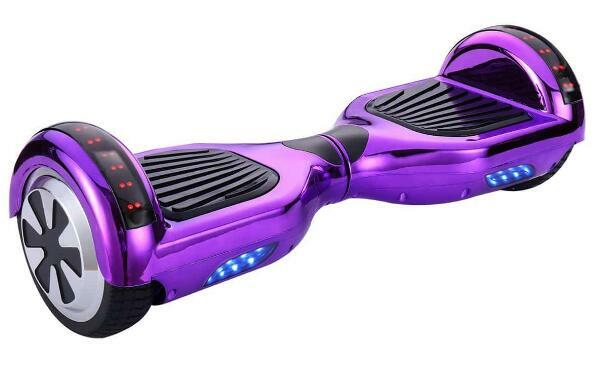 The Veeko hoverboard is an all-new item in the market that is cool and stylish. It is one option that the kids everywhere love because it does not only make them feel special but also gives them more power over the board. They can fully control how they like and the board will follow their command. 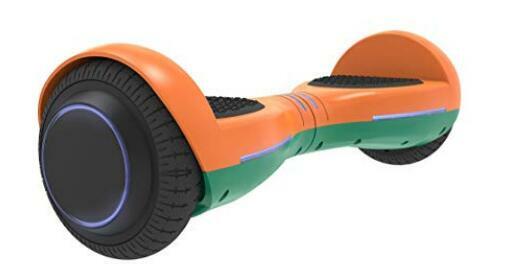 This board is also suitable for teens who already know how to ride. The main idea behind the design is to help children and younger people to get comfortable with hoverboards. One of the most stylish boards in the market right now. It is very easy to handle no matter how old you are and how much you know about the boards. It is one of the more expensive products on the market right now. Last but not least, the Felimoda Self Balancing hoverboard has a charm of its own. It is one of the most standardized and simple products. 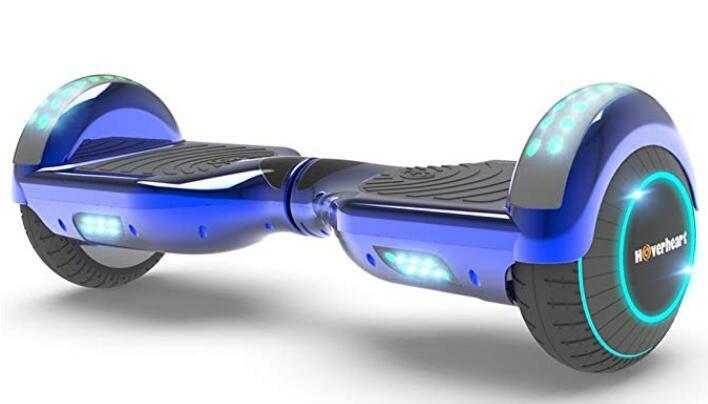 It has all the traditional features that you need in a hoverboard yet all the users highly appreciate it. The hoverboard is certified for safe performance and electrical charging. The package also includes the charger. The equipment is self-balancing which makes it simpler and harmless for learners and laypersons. It is quite easy to study and uphold stability. It is very easy to learn and to operate even by young kids. It is a bit expensive so you would have to save up before you can invest in this product. Now that you have all the information about hoverboards, you have to understand that it is safe for your kids. You just need to look after the aspects mentioned above because these little things make all the difference between safe riding and dangerous riding. At first, it will be a new routine and kids will feel a bit taken aback but with the support of their parents they can learn quickly and gain confidence. You can choose any item from the ones that we have reviewed above. They are all the best for your kids and your kids will be happy to get anyone they like.